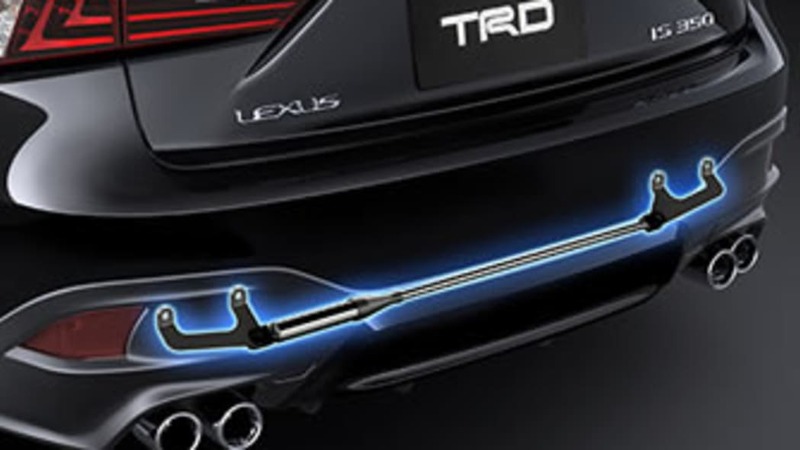 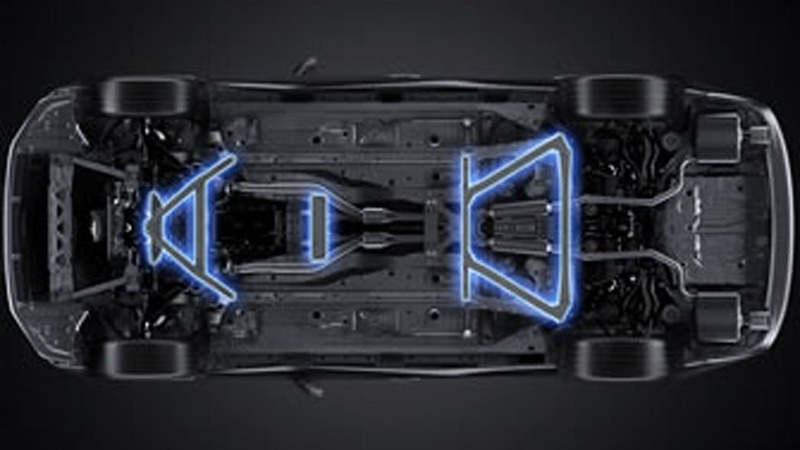 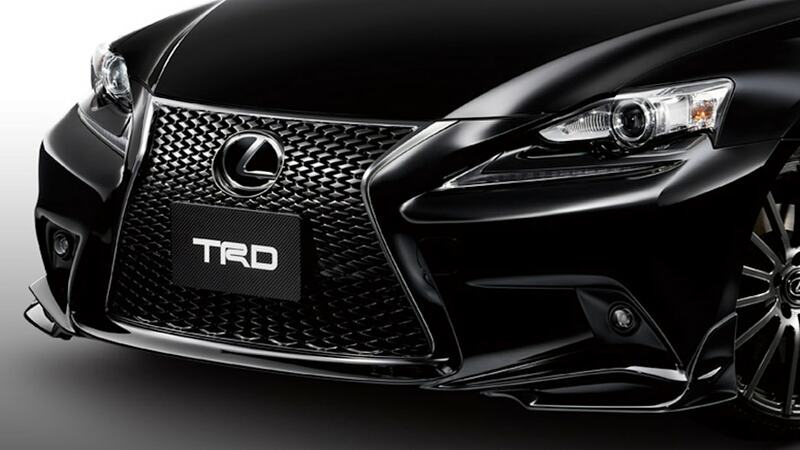 Toyota Racing Development (TRD) in Japan has designed cosmetic and performance bits that give the 2014 Lexus IS a front-to-back workover. 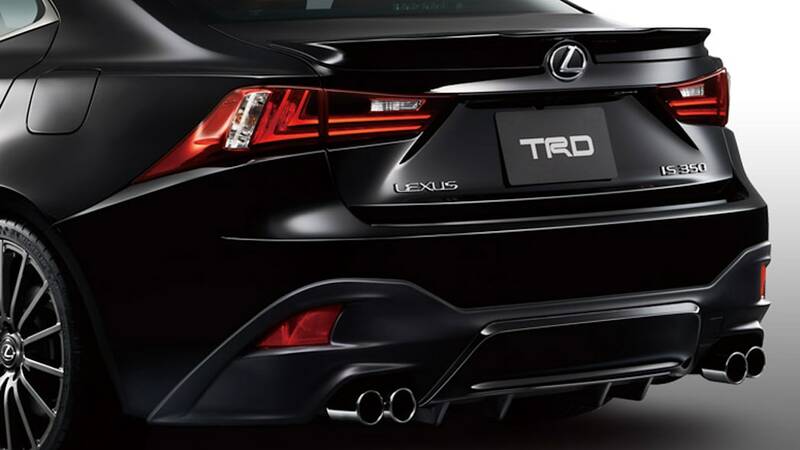 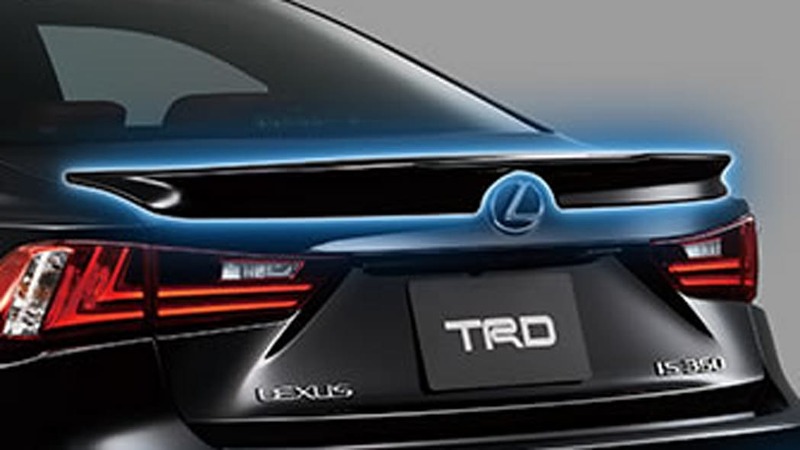 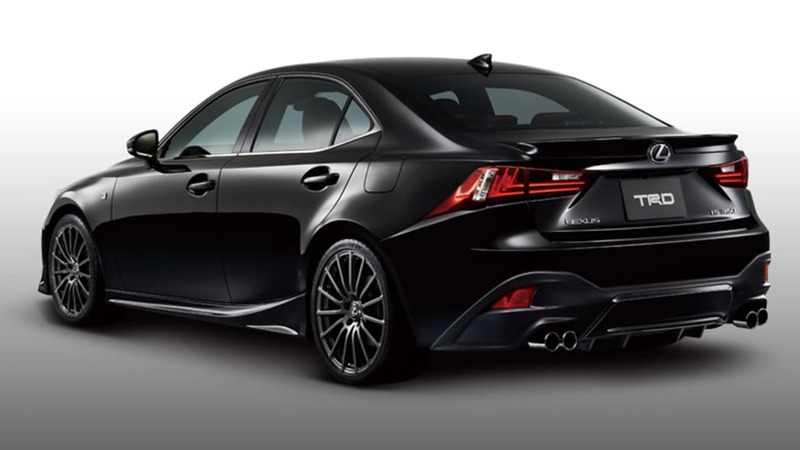 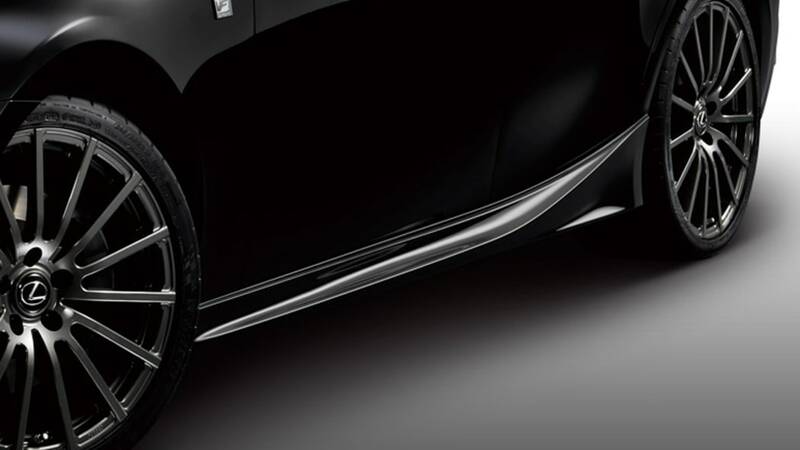 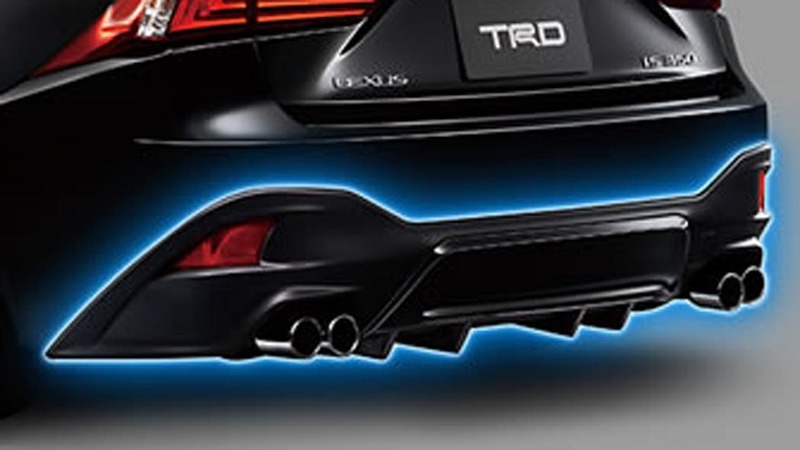 Different from the F-Sport parts we expect from Lexus here, the full body kit runs 437,700 yen ($4,285 US) and starts with air deflectors at the lower edges of the front bumper, through to side skirts, a decklid spoiler and a rear bumper with a diffuser and quad exhaust tips. 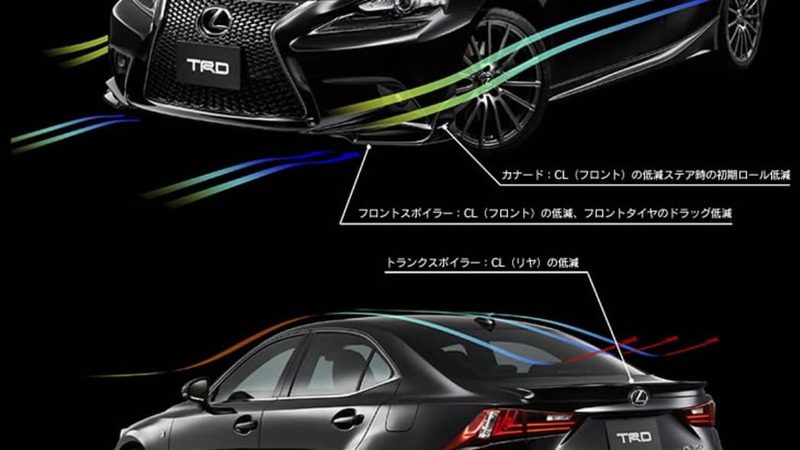 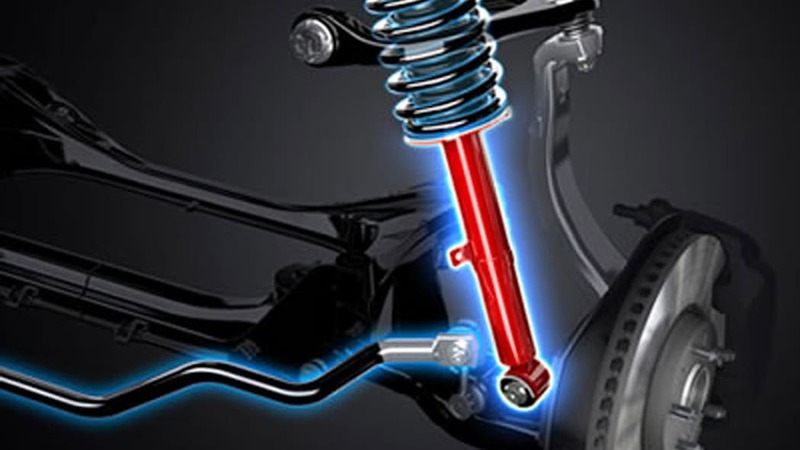 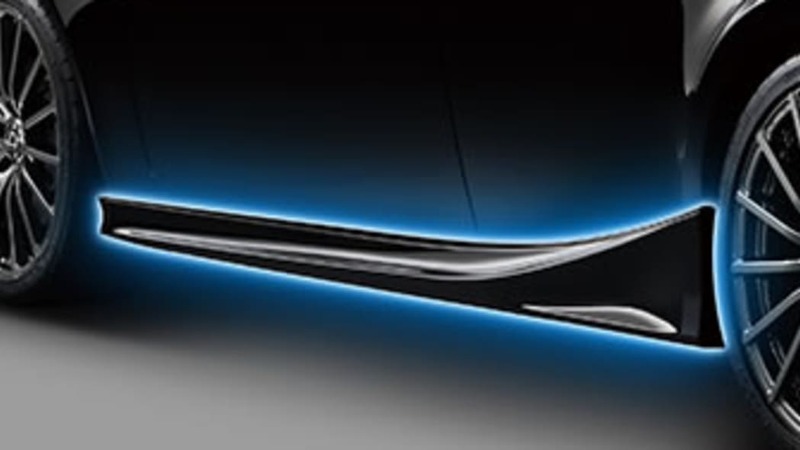 For 288,750 yen ($2,830) you can sharpen responses with new shocks, springs, dampers, sway bar and bracing. 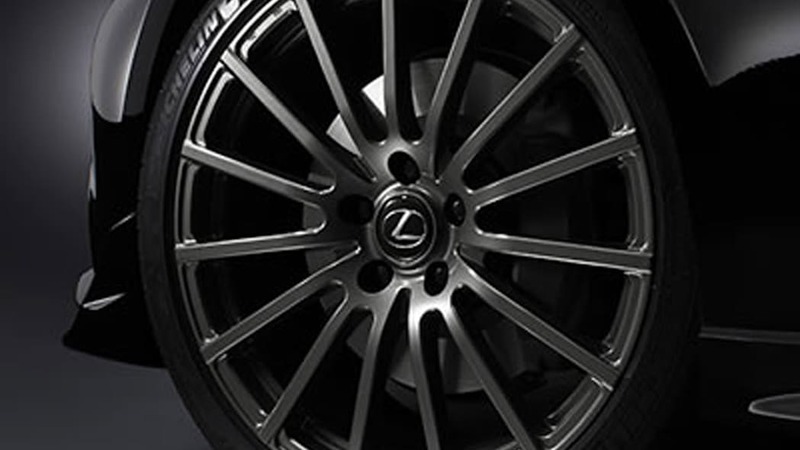 The priciest individual component is the set of 19-inch wheels, four of them going for 527,625 yen (5,170 US). 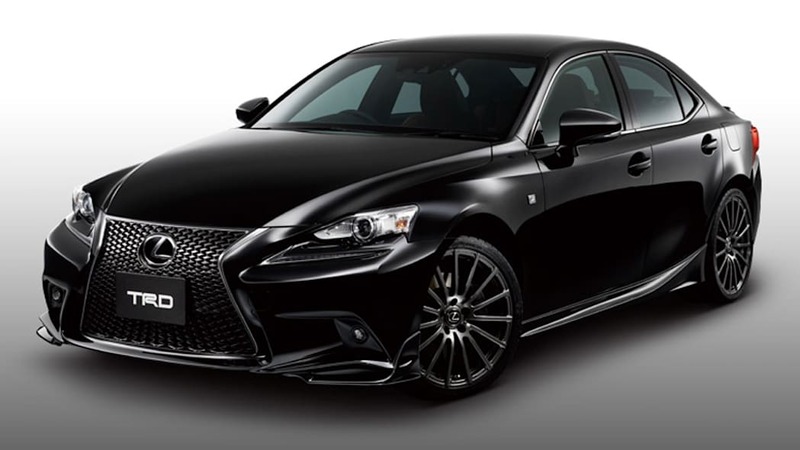 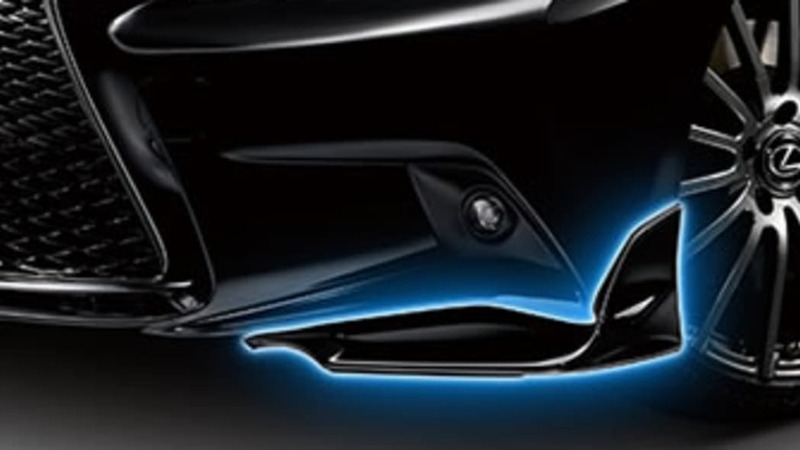 There's no word on US importation or pricing yet, but done up all in black like the IS above, we wouldn't mind seeing it here.